We’re lucky to live near two artificial lakes: Lake Kurwongbah which was created when Sideling Creek was dammed in 1955, and Lake Samsonvale which was created when the North Pine River was dammed in 1968. 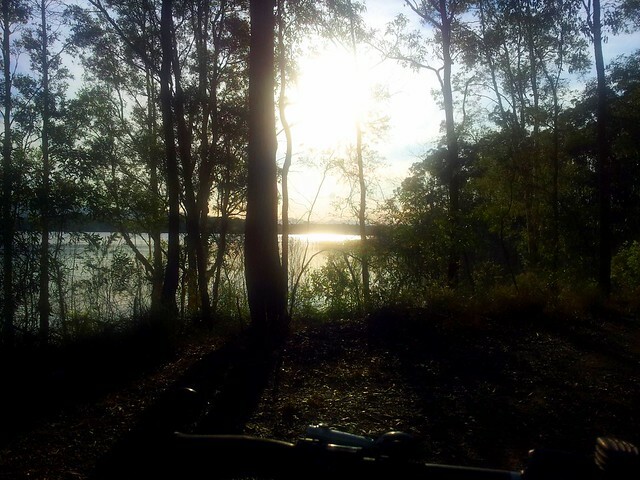 I love riding the bike by these large bodies of water. The Pump House was built in 1955 as part of the construction of the Lake Kurwongbah Dam. 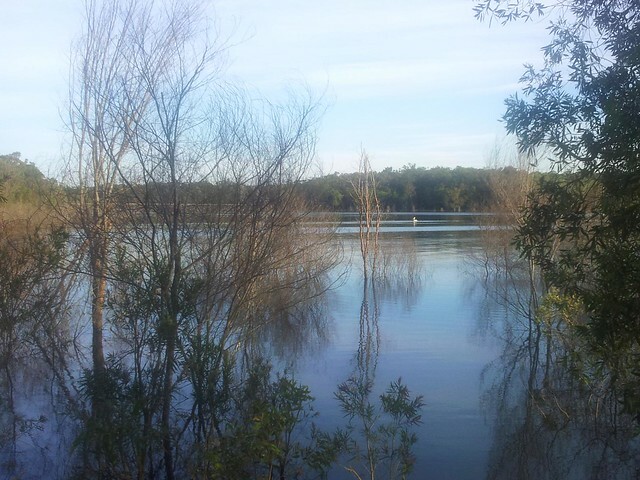 It pumps water uphill into Lake Kurwongbah from the North Pine River to keep the Dam topped up. 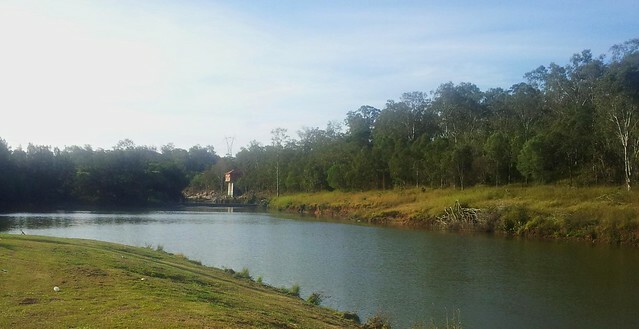 Lake Kurwongbah was oriiginally built to supply water to the Australian Paper Manufacturers (APM) Petrie Mill – now known as the Amcor Cartonboard Petrie Mill. If you look carefully you can see a pelican drifting on Lake Samsonvale. I watched this one gliding in like a strangely shaped flying boat from years gone by.